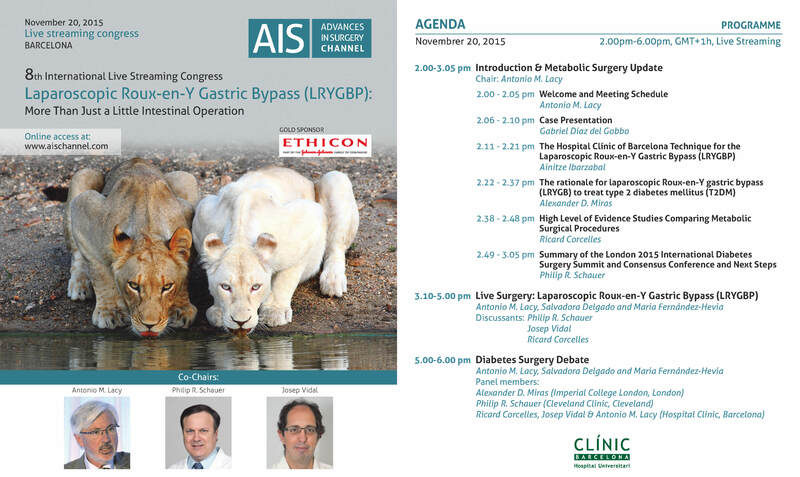 In this meeting, we will take a look at the Laparoscopic Roux-n-Y Gastric Bypass technique through its application in a live surgery of a morbid obese and diabetic patient, with live comments highlighting tips and potential pitfalls. A panel of recognised experts will then discuss the main hot topics regarding LRYGBP. 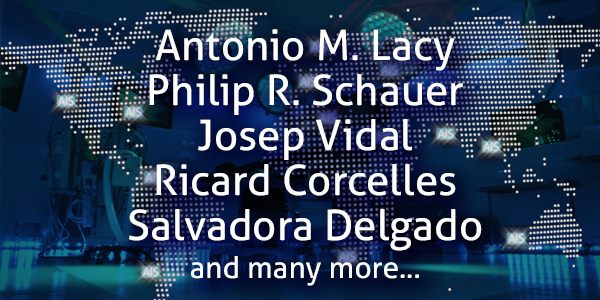 On November 20, 2015, from 02:00 pm to 06:00 pm (UTC+01), AIS Channel will broadcast in live streaming the 8th AIS Congress in an innovative TV format with a presenter and audience. AIS Channel makes use of the latest technologies available (website with HD videos, live conference streaming…) to spread the advances in surgical procedures with the presence of the renowned experts from around the world. Once registered, you can follow the live streaming congress and ask questions in real time wherever you are, from your laptop, smartphone or tablet. In addition, you will have free access to all AIS Channel content.